However this structure can be confusing to persons in the nonprofit arena.It should be primarily be used for start-up nonprofits needing board involvement with operational management. An executive director should have final operational authority for all operational matters related to the organization, except those designated for the board in the bylaws. For example, pensions plan changes. The big question is who carries the CEO title. 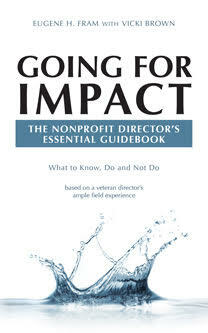 Some nonprofits, in their early stages, have a volunteer, part-time, President/CEO and an operational Executive Director. This signifies the volunteer, representing the will of the board, can have final authority in all daily activities and in implementing policy directives. This is not a good structure because the CEO title might lead to the volunteer having potential personal liabilities that other directors don’t have. In addition, it can lead to board micromanagement, a culture that is difficult to change. My experiences show that many nonprofits retain a start-up governance structure long after it is needed. This, in my opinion, hampers growth, vision and achievement. It can quietly demean the image of a highly competent operating chief executive officer, one who can easily find employment elsewhere. On the other hand, if changed to the model cited below, it can attract a more competent chief operating officer. I recently encountered a situation where the bylaws listed the volunteer president as also having the CEO title, and the volunteer was totally unaware of the additional potential liabilities. Fortunately, ac concerned attorney on the board was about to alert the directors to change the bylaws. Board Members: Try it and you will like it. Thousands of nonprofits have. A great deal of the success of the model develops on bases of organizational trust and the willingness of the senior manager to accept full managerial responsibility involved. ← RE: Absenteeism at Nonprofit Board Meetings on the Rise? Can Technology Help? READERS HAVE SP0KEN! !